It has been a strange season, particularly as a Leeds United fan! But it all ends this weekend with the FA Cup final. As a treat to celebrate a barren summer of little football (there is the Women’s World Cup though!) I thought people might want to read about what they are missing. I have not done a promotion for a long time but here goes. For this weekend only (30th and 31st May 2015) the Extra Time Edition of World Cup Dreams will be free on Kindle. I will tweet plenty of updates so don’t worry if you forget from now to the weekend. I hope you enjoy it and any reviews, positive or negative, would be much appreciated. Let’s hope you all grab it on Saturday or Sunday and have a look over the long hot (ok, probably not hot as we are in England, well I am!) summer. Enjoy. As we get older some things fall away from our lives. One of these for me is music, possible one of the reasons this is my first blog post about music! I now only really buy albums from bands I have listened to for a long time. 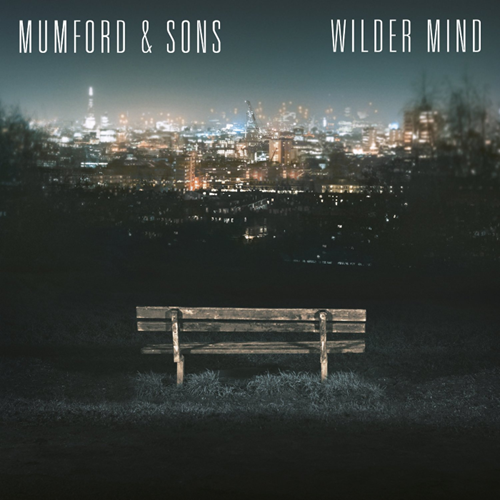 Recently Wilder Mind was released by Mumford and Sons and I got that little bit of excitement you get when you were a six-year-old child opening a new toy at Christmas. As I popped it in my car CD player and turned on the engine the music slowly started. To my disappointment gone were the folky sounds, big bass drum and excellent banjo playing. Instead there was a much more generic indie rock vibe. Don’t get me wrong I like indie rock, no I love indie rock but this is not what I bought the album for. Yes there was the singers gravelly voice but almost everything else that made Mumford and Sons what they are was gone. I was disappointed, very disappointed. I have listened to many other albums from bands that have decided to taken a turn in direction and have generally gone off them so I was expecting it to be the end of me and Mumford and Sons. But to my surprise this album was one that grows on you, the tracks at first were blurring into one but on the second and then third listen I could pick out certain songs. Snake Eyes had a low melodic tune with catchy chorus and I started to love the bridge in Ditmas. I went on a walk and popped the music in my ears, quickly picking up on the hammering drums in The Wolf and ended up listening to it over and over again. After a while I was walking around humming the chorus to Just Smoke and singing sections of Tompkins Square Park. You know what, this album was really good. Suddenly I was aware that Mumford and Sons had done what few bands had before, made a brave change of direction that had actually worked. This was harking back a few years to the heyday of indie rock and brought back the nostalgia of long hot summers driving in my car and meeting friends on the beach. This album was, no is, brilliant. I think it is that distinctive voice that does it, you can listen to the singing and still tell it is Mumford and Sons, but it is different and adds a freshness to their music. You know, I’ve not felt like this about an album for a long time. I am now itching to see them live, to be jumping up and down like a crazy fool. I am so glad I persevered because you know what, Wilder Mind could be the anthem to my summer.